A key reason for your website is telling people about your company and getting your brand in the marketplace. Consider telling the story of your company on your “About Us” page. Make sure your content is relevant, engaging, and timely. Also, include resources such as white papers from thought leaders in your industry. Photos can be part of your content, giving people a sense of your company culture. Another contributing factor to your company’s brand is images you use on your website. One idea is to post pictures of a recent event at your company, such as an anniversary. Or include photos of the location of your business, to put your business in a larger context. Look to stock photography for additional photos that help tell your company’s story. Social media posts are another source of current, to-the-minute content about your company. Social media use can be an asset for businesses. Posting on Facebook, LinkedIn, and other platforms can be a good way of sharing content and showing users what your company is doing. Once you add content to your website, post the link on your social media pages. By doing so, viewers can interact with you by leaving comments to which you can reply. If you want to have a blog, but don’t have the time to manage one yourself, consider syndicated content delivered via an RSS feed. Not only does your content need to be engaging, it needs to be easy for customers to view. Make sure that images resize to the screen of a tablet or smartphone, since so many people view websites on a mobile device. Your website buttons need to work well, and be easily visible, and your images easy to download. Be clear, too, about what you want visitors to do. Have clearly in mind what you want visitors to your site to do. Want them to subscribe to your newsletter? Have a clearly visible (and functioning!) “subscribe” button. Consider offering a free thirty-minute initial consultation or, if appropriate, a product promotion. 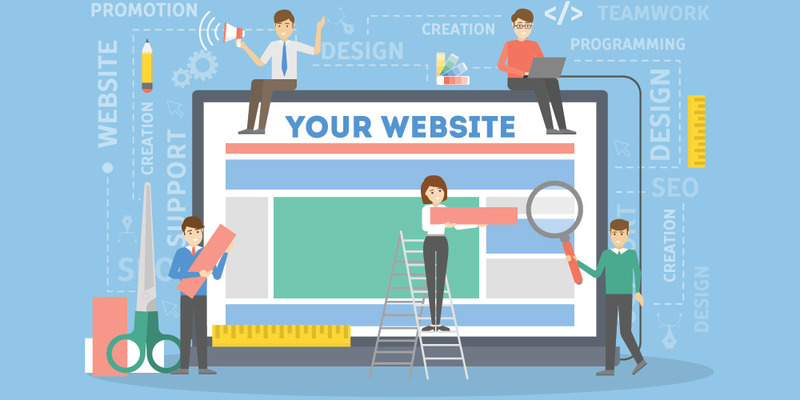 Good, strong content, mobile responsiveness, and connection to your social media pages are some of the building blocks of an effective website. For a free evaluation of your website, contact ClikCloud today.